or to solve existing problems! We also offer project accompanying consulting! The SAFE transmission of data and words is written with a capital S! NovaTec Kommunikationstechnik GmbH is a company that possesses many years of experience in telecommunications. Above all, the company offers target group-specific solutions. As a pioneer in developing of GSM Gateways, the development and migration of existing systems – from ISDN to VoIP – into IP-based infrastructures is now the focus. In 2007, the company received the “Mittelstand Initiative” innovation award. 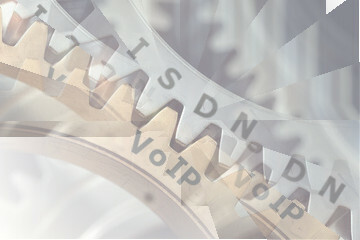 The “Initiative Mittelstand” awarded the NovaTec Internet Pathfinder, the advanced Link between VoIP and ISDN as SIP Gateway, with the 2007 ITK innovation award in the category Voice over IP. Aside from numerous realized projects with renowned enterprises, this award reflects the quality of this VoIP Gateway. Furthermore, NovaTec provides innovative solutions for the security needs in telecommunications. It offers secure end-to-end encryption, using common encryption techniques such as TLS 1.2 and SRTP, not only for IP networks, but also for existing ISDN end devices. The NovaTec Gateway can be combined with the integrated Session Border Controller function. Thus, the gateway provides a worldwide tap-proof connection. Additionally, NovaTec GmbH offers customer-oriented software products including appropriate services and support as well as customer-oriented training courses. Specially, training coures help with the commissioning of the system. Public administrations and authorities, distributors and system houses as well as public institutions belong to the main customer base of NovaTec GmbH. We help you with the integration of special solutions and the migration of existing systems into the new IP based infrastructures. We find individual solutions for your individual needs of you network solution.